Dress for Success: How the Plus Size Community Can Help! If you’re plus sized, you may have had the same experiences I have had with thrift shopping–I rarely find anything. Imagine being in this situation if you were about to interview for an awesome new job, and you couldn’t afford a professional outfit to make a good first impression. That’s where Dress for Success steps in. With affiliates worldwide, they provide work-appropriate clothing and career assistance to women, and they accept donations from people like you. 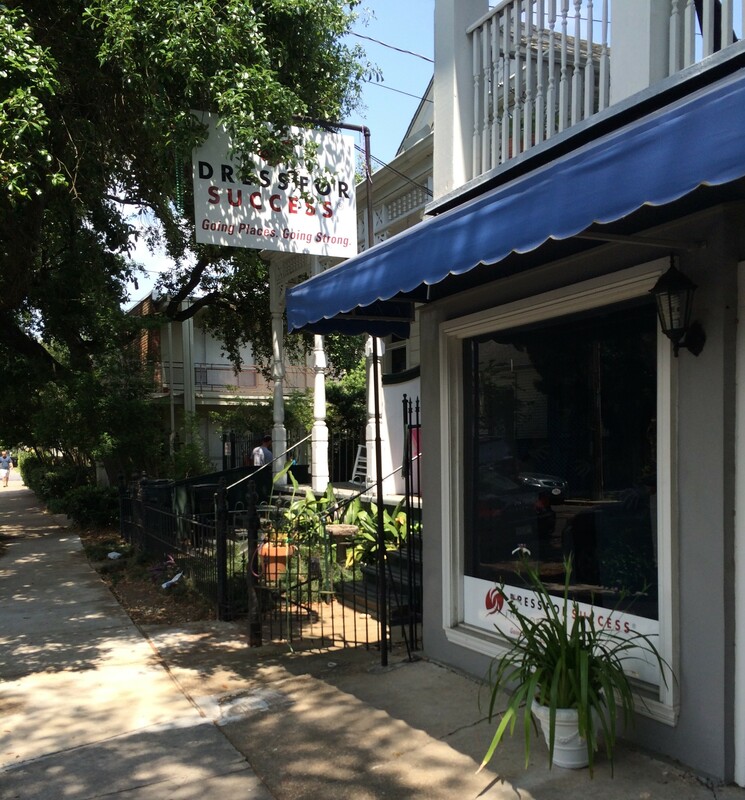 When visiting my local Dress for Success affiliate in New Orleans (on Magazine Street, a few blocks from Audubon Zoo), I found out they not only provide interview-wear for their clients, but also a week’s worth of versatile outfits once they get the job. However, much like other places that accept donated clothing, they need more plus sizes! Here is where to find your local chapter’s location and hours. Along with gently used garments, they accept accessories, gift cards, and monetary donations. The New Orleans chapter is also participating in Give Nola Day, which benefits non-profits in the New Orleans area, so May 6th is a great day to go online and make a donation. Remember Dress for Success when you’re cleaning out your closet this spring!